Hi folks! Today, I’m pleased to host a guest post from 2L Tess Edwards, ’20, president of Boston College Law’s Environmental Law Society. BC Law’s Environmental Law program has been a pillar of strength for the law school since its launching in 1972 by Professor Peter Donovan, shepherded in the years since 1981 by Professor Zygmunt Plater. Professor Plater, who was recently awarded the Svitlana Kravchenko Environmental Rights Award at the Public Interest Environmental Law Conference at the University of Oregon, is what we call a “big deal.” He argued a successful environmental case before the Supreme Court (and was reported to be the only appellate advocate ever to defeat a sitting Attorney-General of the United States in Supreme Court oral argument), led the legal response to the Exxon-Valdez oil spill disaster as chairman of the Alaska Oil Spill Commission’s Legal Task Force, consulted on the “Civil Action” Woburn toxic contamination case, and organized 20 student research projects used by the President’s Commission on the BP Deepwater Horizon oil spill. He involved students mercilessly in each of those projects. Prof. Zygmunt Plater in his office. Photo credit: Boston College Law School Magazine. Often sought after in the environmental law community for his advice and perspective, Professor Plater regularly provides an opportunity for BC Law students to work alongside him and learn by doing. Over the years, students of environmental law at BC have consistently had challenging learning experiences conducting legal research in support of Plater’s groundbreaking work. In addition, every year selected 3Ls are given the opportunity to teach an undergraduate course in Environmental Law on BC’s Main Campus— a program that has not been replicated anywhere else. Not only is Professor Plater an active lawyer and professor, but some would say he is the charismatic leader of the environmental law community at BC. As faculty advisor of the Environmental Law Society, he opens his home twice a year to bring students, alumni, the professors of the Land & Environment Program, and local practitioners together: first at the Environmental Law Society kick-off barbecue in September, and second at his home in Provincetown as part of the annual Winter Weekend conference. As a result of these decades-long traditions, Plater has fostered an alumni community populated with lawyers in outstanding careers nationally and internationally, from positions with EPA and DOJ, pollution control industries, state government, and national and regional environmental nonprofit organizations. One alum of the Land & Environment Program currently serves in the U.S. House of Representatives, representing California’s Bay Area. And on top of being an award-winning environmental lawyer and professor, I can say from personal experience that Plater is one of the most approachable professors at the law school. 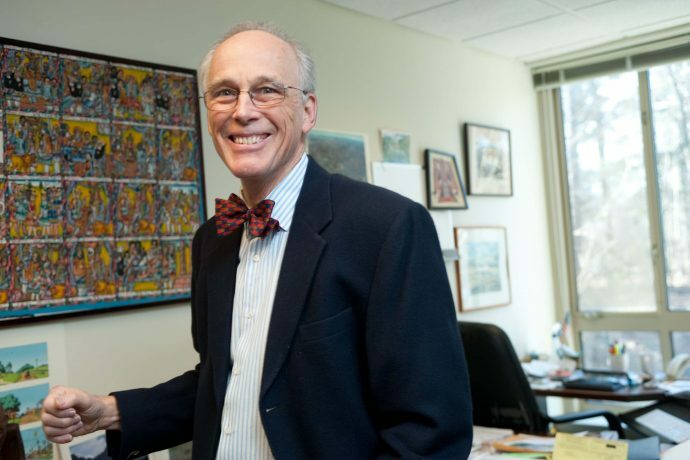 As students in the land and environmental law program know, Professor Plater is always happy to give advice to students (and prospective students) struggling with the tough decisions that law school presents. Two years ago, when I was deciding between law schools, my phone conversation with him helped solidify my decision to attend BC Law. Instead of trying to sell his own program, as I anticipated, he asked me what other schools I was considering, and helped me weigh the benefits of each. Ultimately, his approachability and friendly assistance in this decision was what convinced me that BC’s environmental law program was the right fit. It is not always easy to balance the demands of law school while donating time to causes that we care for. But Professor Plater’s example as a hardworking attorney as well as a thoughtful advisor inspires us all to be more conscientious in school, and in our legal advocacy.